POMEROY — Being prepared for disasters and emergencies is stressed in our schools and homes but what about in businesses, offices, factories or other places of employment? Disasters and emergencies can happen any place anytime and you need to be prepared. As part of national preparedness month employees of the Meigs County Courthouse were tested on their plans on Friday. 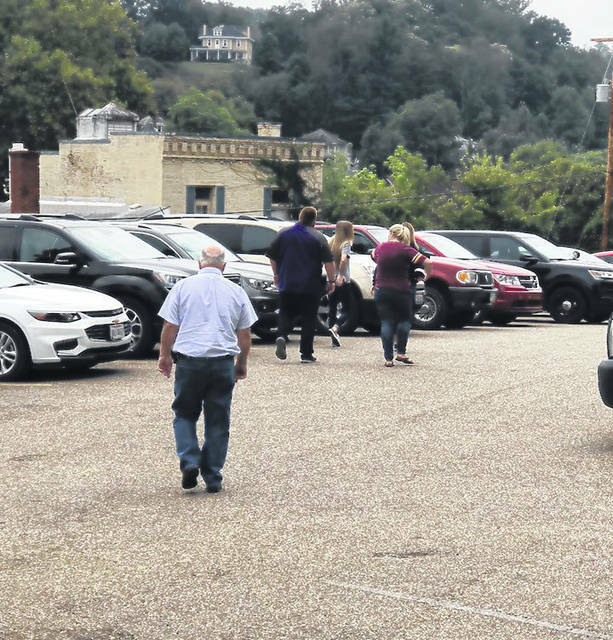 For the first time in decades a fire drill was held at the Meigs County Courthouse in Pomeroy with all offices participating. After the drill, members of each courthouse offices attended a discussion to address the drill and other safety and preparedness issues which they would like to see addressed at the county courthouse. Emergency Management Director Jamie Jones facilitated the discussion in which numerous topics were discussed. Commissioner Ihle wanted to express his appreciation to the staff and citizens who were in the courthouse and participated in the fire drill and apologized for any inconvenience the drill may have caused the public. For more information on national preparedness month, and how to prepare your home, business or place of employment for a disaster visit www.ready.gov. Information provided by Meigs County Emergency Management Agency.